← May Meeting – Special Guest – Please Read! The mother/daughter team of Red Sparkle Studio has released their game, Logic Cars for free on Google Play! It is a wonderful remaking of a popular graph paper and pencil game that entertained kids half a century ago. Red Sparkle is comprised of Lina Spivak and her 11-year-old daughter. They have quickly become valued members in the OGDA. The gameplay is relatively simple but requires some forethought and planning — in a way, just like driving a real car. Let’s just say that it’s not all about going fast! Logic Cars is an electronic version of an old logic board game. About half a century ago me and my brother could play this game for hours. Back than it was simple. You take a sheet of graph paper, draw a “road” on it, take pencils to guide your “cars” through the road, and there you go! Who will get to the finish line in less moves wins! Nowadays computers replaced paper and pencils. They add tons of new adventures into this game. Now you can find a stone, or sand, or ice on a road. There can be an animal crossing road, or your tire can pop… As in real life, you name it… And since up to 5 drivers can race at the same time it can provide a lot of fun for the entire family. 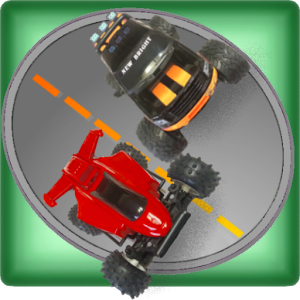 Logic Cars is a turn-based racing game. Players are moving their cars along the track drawn on a checkered board following simple rules. Player who crosses the finish line using less moves – wins. Once you’ve mastered skills required for one level, you can move to the next. On each new level Logic Cars requires new skills and introduces new adventures that will keep you entertained for hours to come. The video below shows some of the gameplay elements of the game. Give it a try! (It’s free, remember?) Most importantly, support your friends and colleagues in the OGDA and spread the word! This entry was posted in Announcements, Company News and tagged game, Logic Cars, Red Sparkle, release. Bookmark the permalink. What time on Thursday at Do Space? Really? A 2 year old thread for this?